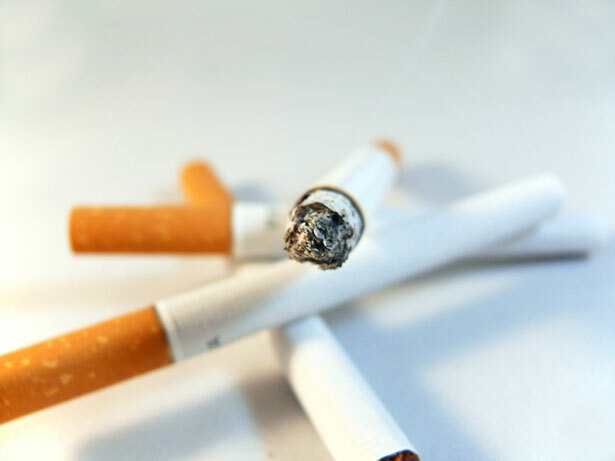 Instead of just saying that “Smoking Causes Lung Cancer, Heart Disease, Emphysema, And May Complicate Pregnancy,” the FDA plans, like many other countries, to show that smoking is a bad habit by putting pictures of cancer patients, corpses after autopsy, and pictures of horrendously damaged lungs. The proposed effect? That smoking will drop down substantially, right along with the cases of cigarette-related cancer. After years of D.A.R.E, teenagers still smoke. And drink. After narc-cops come in and show presentations at the high schools about the dangers of using meth, cocaine, and other drugs, what do some do? Those same drugs anyway. And once they try it, they become hooked. My point? The smoking trend is not going to end simply because a picture of some lady on her deathbed is on it. We’ve seen the pictures of the pitch-black lungs already. It hasn’t stopped anyone from lighting up a fatty. I’m sure it might discourage a small percentage of people who haven’t tried it from ever experimenting, but let’s face it: people will eventually get used to the pictures. It’s already ingrained into our minds. Think of it. We are fed images of people smoking in movies and billboards. Stores all have it. No matter what the educational system tries to do, smoking is still considered “cool” among kids. Some poor deluded teens try it, get hooked, and spend their midlife crises regretting every minute of it. To take it out, it’s quite simply, really; take it out from the roots: our culture. Stop the ads. Stop supporting the image. 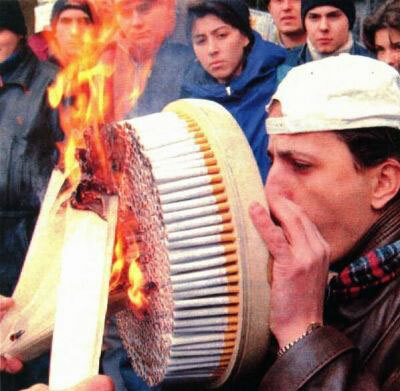 Slowly and surely, the rage for smoking will diminish. Oh yeah, this is sooooo cool! This entry was posted on Wednesday, November 10th, 2010 at 10:00 pm	and tagged with American Spirit, anti-drug, Camel, Canada, Cigarette Warnings, cigarettes, D.A.R.E., drugs, FDA, Happiness, Health, Marlboro, Newport, Seneca, Surgeon General's Warning, U.S., Wellness and posted in Curiosity, Life, Politico, The Media. You can follow any responses to this entry through the RSS 2.0 feed. Smoking, where do I begin. It’s been abused, over-used, and of course, addicted. I never want to see a cigarette again, do you know how long that lasts? Basically until I walk out the front door or turn on the TV. Commercials and people throwing them out their car windows. I’m just sick of it! Also, I’m grateful to hear that the D.A.R.E. program that was at my school actually was at other places. Smoking’s stupid. My dad used to be an avid smoker. Then I was born. And you know what? He simply up and quit. He claims (I’m not so sure about the validity of this, but…) that it’s all in your head, and that nicotine patches and all are not helping, but simply switching the addiction from one thing to another. He said you just have to have the will to stop, and then just do it. Yes, people only quit if they want to, not if they need to. I just think smoking is NOT cool, or fun. Although, I’ve never done it, and never will.